One day when my daughter my two years old, she decided that she wanted to put together a wooden puzzle during our weekly library trip. She dumped out all of the pieces and started trying to put them back. She quickly became frustrated. For a moment, I was at a loss, I was a teacher, I should have known how to help her, but I didn't. Then a saw another mother/ daughter pair at the next table. The mom put together most of the puzzle except for two of the parts. Then she asked her daughter to figure out where those parts went. I decided to try this same method with my daughter. It worked while providing her with just the right amount of challenge. She needed to determine not only which piece went in each space, but also had to figure out which way to turn the piece so that it would fit. After a few rounds with two missing pieces, I started removing three pieces. At she gained proficiency at each stage, I continued to increase the level of difficulty. After several weeks, she was able to do some of the puzzles independently. With new, or more challenging puzzles, we would back up and start again, with only a few missing pieces. This process reminded me of the educational method of scaffolding and Lev Vygotsky's "Zone of Proximinal Development." Basically, the idea is to first find out what a child's independent level is. This is what the child can do on his or her own. The teacher then figures what the next step up would be; this is the instructional level. The teacher then institutes "scaffolds" in order to help the child advance from one level to the next. 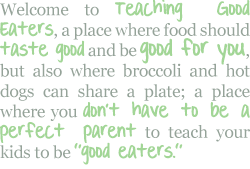 This concept also applies to helping children learn to be good eaters. An unfamiliar meal can feel to the child like an entire puzzzle "dumped" out on the table. By providing small incremental steps between foods with which our children are familiar, and newer, unfamiliar foods, we can help them learn to be better eaters, one step at a time. 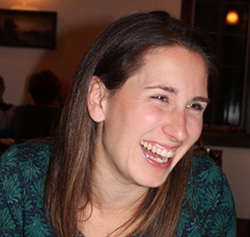 Last week, I suggested starting with foods that your child already likes. By doing this, you were establising their independent level, while also taking the stress and struggle out of meal time. 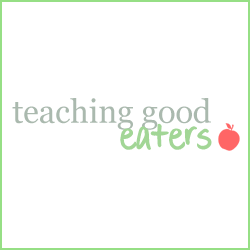 Throughout this week, I will be providing suggestions and recipes to help you see how you can apply scaffolding to help teach your picky eater to be a good eater. Click here see how to scaffold your kid's mac and cheese. Click here to see how I taught my kids to eat better yogurt using scaffolding. I really love this idea of scaffolding healthy foods into the diet. I have 2 picky eaters and have just recently challenged myself to get moe veggies in their tummies. Thank you for this great idea and the inspiration. I also enjoyed your comment on my blog. Thanks! Thanks, I hope that it works for you! 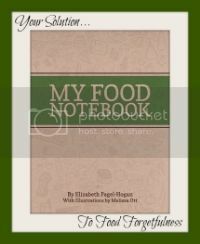 It's one of my favorite educational techniques and I even use it for my "not so picky" eaters, whenever I make a change... it's hard to make big changes all at once, but with scaffolding, it makes for much smoother transitions.